The Easter holidays are almost over and school and work is once again on the horizon – and I think we are all dreading it! Having real time off together with no routines to stick to, nowhere to be at certain time and the luxury of lying about the house all day in our pyjamas if we want to is pure bliss. 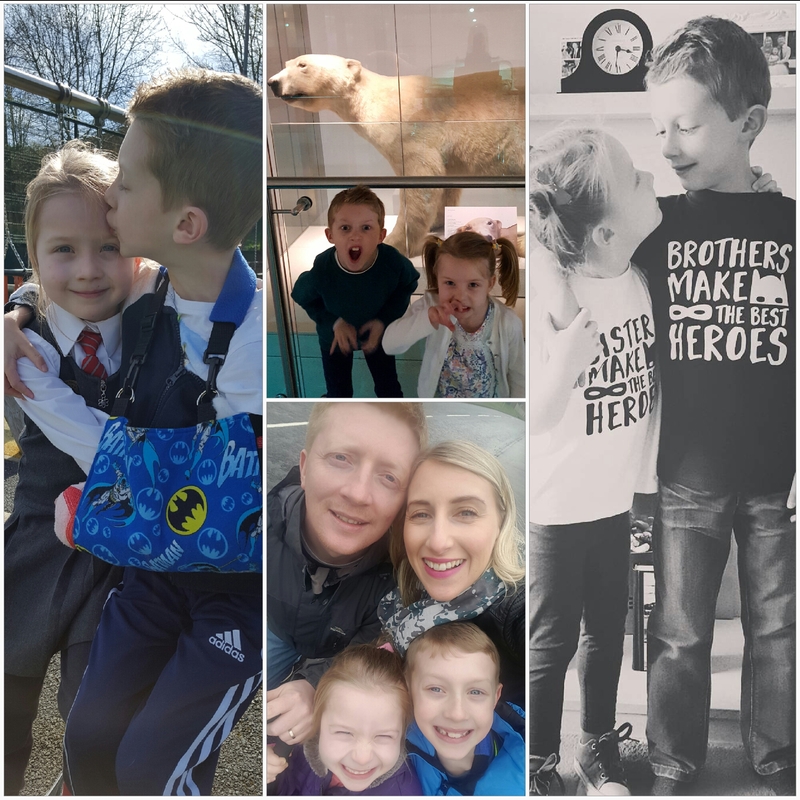 The last few months have been pretty full on in our house and if I’m honest a bit overwhelming at times too. 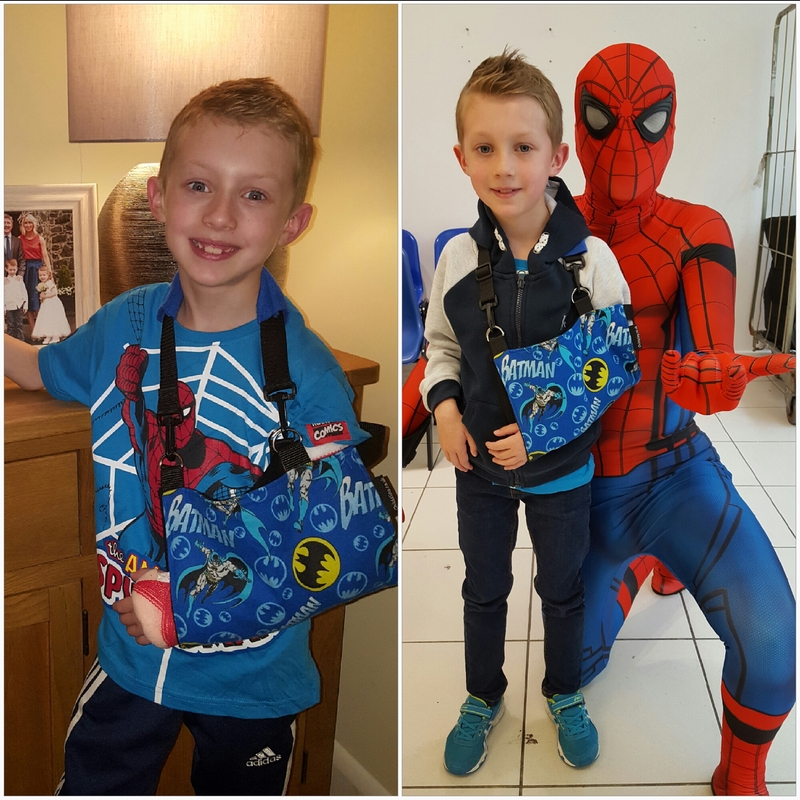 Max broke two bones in his arm at the start of March requiring surgery to straighten them out, followed by five weeks in a full arm cast. We moved his bed into our room so we could tend to his needs during the night and it felt a bit like having a newborn again – that worry, anxiety, fear and exhaustion coming at you like an avalanche. And because Max had a really bad leg break less than two years ago I think this time round felt even tougher. Because it wasn’t fair on him. He had already had to deal with broken bones at just six years old and now he’s having to do it again. But, as always, he manages better than me, never moans, never complains and just carries on like the little hero he is. The cast came off last week and my nerves are now worse than ever as for the next six weeks he isn’t allowed to do anything that may cause him to fall in case he breaks the bones again. Actually, frazzled is probably the best way to describe myself right now! At the same time, Lucia’s Lymphoedema hasn’t been good either. Ironically after I wrote a post on how good things had been. Her swelling was probably the worst I had ever seen. Her little right leg was thicker than ever and felt so hard to the touch. The inside of her leg which usually isn’t too bad was full of fluid – I could barely feel her shin bone. Her ankle had a constant gathering of fluid, no ankle bones could be felt at all and her foot was so swollen on top it looked like it could explode at times. Not to mention her little puffy toes. The swelling was so bad we were struggling to get her trusty Converse shoes on and they were leaving a massive mark around her ankle. We were using the Physiotouch machine more often and for longer periods to try and shift some of the fluid and it did help to soften things up, but it wasn’t making the same impact as it usually would. Then, within an hour or so it was as if we hadn’t carried out the treatment at all, as the fluid seemed to just pool back in again. But, just like her big brother, she took all in her stride (as per photo below!) while we tried to think of possible solutions. 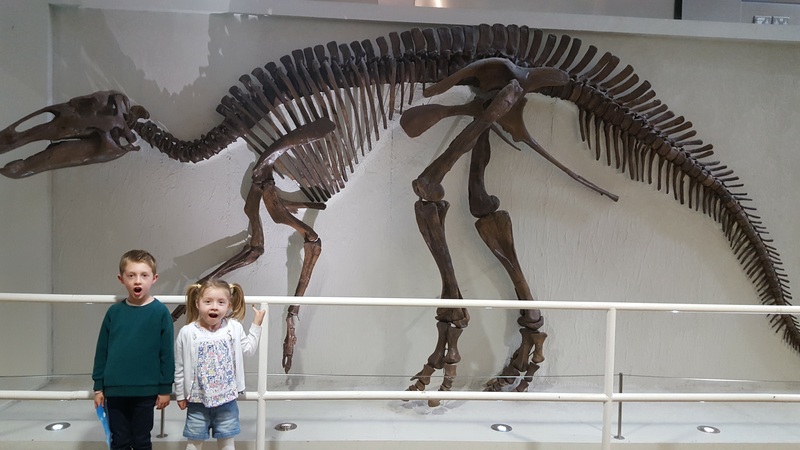 We started elevating her legs more when she got home from school and at weekends, but it is pretty hard to get a five year old to sit in the one place for an extended period of time. She would start off with her legs raised on cushions but within 10 minutes they would be curled underneath her or crossed over, so we would try and encourage her to keep them nice and straight and in an upright position. We also started doing more manual massage as well to try and get things moving and to try and get rid of this ‘hardness’ that seemed to be there all the time. (Hardness is not good as it is a sign of stagnant fluid.) We also noticed some change in the colour of her skin as well and quite often her right foot would look mottled as if the circulation wasn’t working right. Add to this that Lucia was extremely fatigued in the last few weeks of the school term, that she would say her legs were feeling tired and complain of little aches and pains in various areas of her limbs, meant that she was also feeling this difference too. Now, this does happen from time to time. Though not this bad. Her swelling does fluctuate without any rhyme or reason but usually within a week or two it settles and goes back to what we know as her ‘normal’. But this time it didn’t. Weeks passed and nothing changed. Weeks turned into a month and time kept passing. When she got up each morning her leg and foot didn’t look rested – it looked like she’d been on her feet all night. And when you lay her down and lifted her legs you could physically feel how much heavier her right felt in comparison to her left. Lucia’s assistant in school, who ensures her compression garments are worn correctly and comfortably, also noticed her swelling was worse. My mum could feel how hard it had become and how thick her ankle was. When we put on her toe caps (compression for her toes and the top of her foot) it started to act as a tourniquet and pushed fluid into her ankle, whereas before they made a huge positive difference to the swelling in her toes and foot. So with all of this going on and Max’s broken arm thrown in, things were (and still are) pretty exhausting. And because Lymphoedema is a progressive condition my head was thinking is this what’s happening? Is it starting to progress? We are doing everything we can everyday but nothing seems to be making a difference. Is there anything else we should be doing? Why is this happening? What is the reasoning? What is different? But we didn’t know. The week before the Easter holidays we started getting Lucia’s assistant to elevate her legs when she was in school to see if that made any difference. Sitting on a chair for a large part of the day is not good for anyone with Lymphoedema in their lower limbs. Gravity is the enemy and sitting with a bend in your leg traps the fluid in the lower leg, giving it nowhere to move to. Lucia would also spend time with her classmates sitting cross legged on the floor – again not a good position. The rest of the time she is on her feet in the classroom or in the playground. And this is for 5 hours each day. So the elevation in class took place for a week and honestly, by the end of that week, we think we could see a difference. Then school finished for Easter and within about 6 days of being at home her swelling had settled back to what we would call her normal range. It was astounding. All of a sudden she was getting up in the morning and her leg looked good, it looked rested, she had a little bit of shape back to her ankle, her bones were visible, her foot (although still swollen) didn’t look like it could burst. By the end of the day, although fluid had gathered it was ‘normal’ for her. She could wear her toe caps again and they did their job rather than causing a problem. 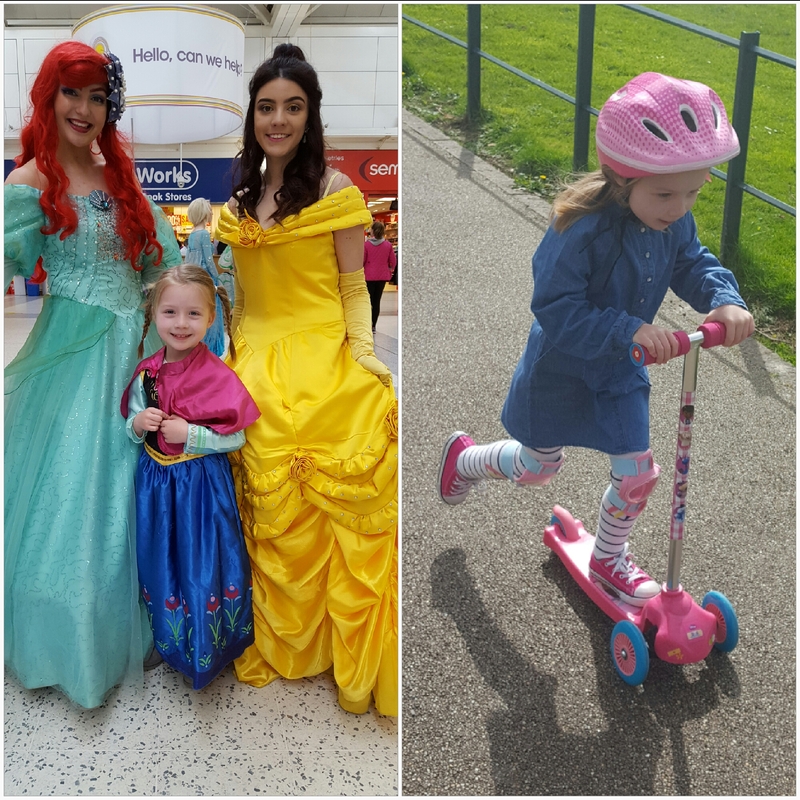 We have been continuing with extra Physiotouch sessions and extra elevation throughout the Easter holidays and her little leg is looking so much better and feels lighter too. We made sure not to overexert her (or Max!) and if we were out one day we stayed at home the next day to let them recover. Rest time for Lucia is crucial to helping her condition. So all those questions in my head did have some answers. There was a link. 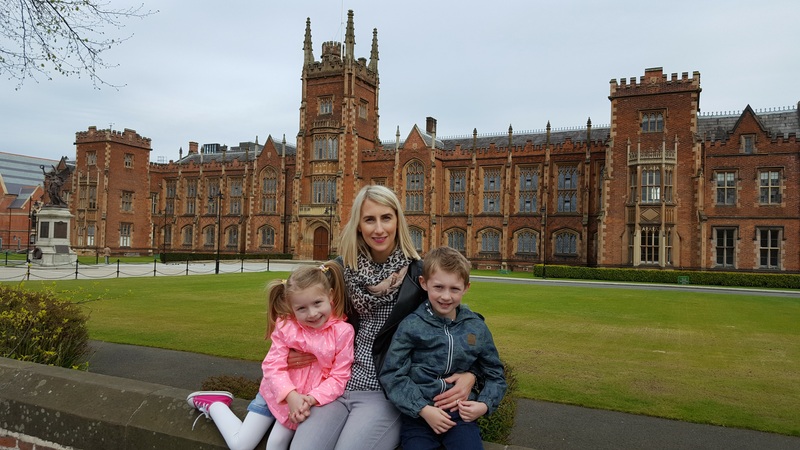 We think that having been a school for a solid six months we are only now seeing the impact that it has had on Lucia’s Lymphoedema. That five hours on her feet/sitting at a desk/sitting on the floor/running around/standing about has started to show in her little leg and foot. So we now need to think what can we do to help minimise this impact as much as we can. We have already started with the elevation when she sits at her desk. We got her a lovely soft cushion which sits on a chair under her table and she rests her legs on it. We may need to think about not letting her sit on the floor cross legged. Should she stay in a few lunch times a week and put her feet up? But at the same time we also don’t want to make her feel different to everyone else in her class. We want her to feel just like everyone else and to be able to do the same things as her friends – and it is so hard to find that balance. Anyone with any experience please let me know your thoughts. Are there any other measures we can put in place to help with this? Or are we missing something really obvious? We are incredibly lucky that her school is just wonderful and anything we need they back us up completely. She also has the most amazing assistant who helps her out everyday and who she absolutely adores and this gives us peace of mind that she is well looked after. As always we have also chatted things over with Lucia’s therapist and spent hours with her thinking about next steps and a change of garment type amongst other things. Lynne is always there to listen and to help and we are once again so fortunate to have her. I’ll write about the things we discussed in another post as this one has been quite long enough. So, come Monday we’ll have a chat with the school and see what we can do. I feel relieved knowing that we think we have found a reasoning for her extra swelling but equally apprehensive about what will happen when she goes back. Add to that the apprehension of Max going back with his still healing arm and I think Monday may be a long day full of shredded nerves. First you have a sweet, lovely family and I’m so sorry you’re going through all this. Must be the hardest thing to see with your babies. I figure my mom went through as much with me and my lymph issues. I have lymphangiomatosos which resulted in Lymphedema in my right leg. Very long journey but the advice I have I can’t say strong enough – stay far away from dairy products!! I don’t know if you already do but if not do try as it made ALL the difference in my life. A surgeon told me (after 5 surgeries) to ‘stay away from dairy products like the plague, keep a low fat diet and exercise exercise exercise ‘ I did and my frequent cellulitis ended. Seems a small thing but fat and dairy produce a lot of lymph fluid. Which those of us with bum lymph systems can’t process. Anyway that’s my best advice and the elevation does really help too! Keep up your amazing work and lots of prayers your way!! May you and yours be so Blessed! Also Solidea Active Massage compression garments have helped me so much – though unsure if they make them is children’s size.? Just a comment rgding dairy and fat – a child needs lots of calcium for bone growth commonly sourced from dairy products. Be very careful on “cutting” these food groups out. Not all fats are bad either. I have primary lymph systemically from birth and have always been on high protein low fat diet, but it is particular to me as it is Milroy’s. There’s one simple night time trick that may be worth trying. I have put risers under the foot of my bed to create a very slight incline. This helps elevate just a little while sleeping. The other comments about dairy are interesting as I’ve had a similar experience with certain foods seeming to act as a trigger. If Lucia is eating foods prepared at the school, that may be another topic to chat with them about. You may learn that certain foods affect her differently than others in the family. Best wishes navigating the world of LE. I have Just started to wear wraps at night. They work incredible! I was so sick of the bandages after 22 years so this is a new life for me 🙂 . Here is the link. I also sit with my leg on a low chair under my desk at job. This is crucial for a good leg after worktime. Hi Tina, good to hear from you! These look amazing! Had you been bandaging everyday or wearing tights/stockings? Or wearing garments during the day and bandaging at night? At the minute night time is Lucia’s ‘free time’ – she loves getting her compression off during the day and having bare legs and feet at night. (As do I, love seeing her bare little legs and feet). But I know the time will probably come when we will need to start night time stuff too. These wraps look so easy to use and probably a lot more comfy. She is actually in bandages again now – we are trying to get her to keep them on the whole weekend to see how it works and she’s doing so well so far. Good to know the elevation under your desk helps too – we started this with Lucia is school around Easter time and it definitely helped her too. Thanks so much for sharing what works well for you – I’m definitely making a note of these.